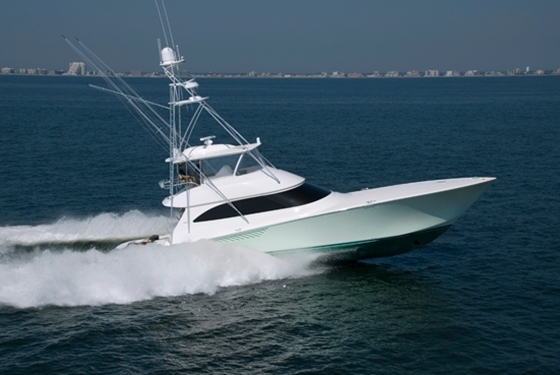 This completely refit 40 is powered by twin 305 HP Volvo diesels providing an extremely efficient 17 knot cruise. Features a two stateroom, galley down layout with an enclosed head with separate shower stall. Boat was completely refit and updated between 2002 and 2004. Equipped with a genset, ac and heat, 27' flat screen tv, updated carpet, etc. 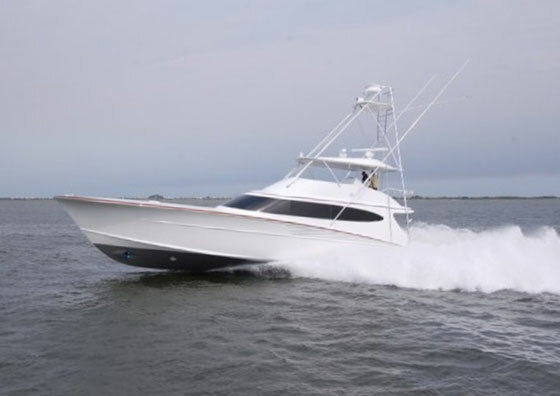 Very well suited as a family cruiser or tournament caliber sportfish with outriggers, center rigger, huge below deck livewell, rod storage, below deck fishbox, and entirely stainless pipework. One of only 2 40's ever built, she's built to the same high standards as the Fortier 26, 30, and 33's. 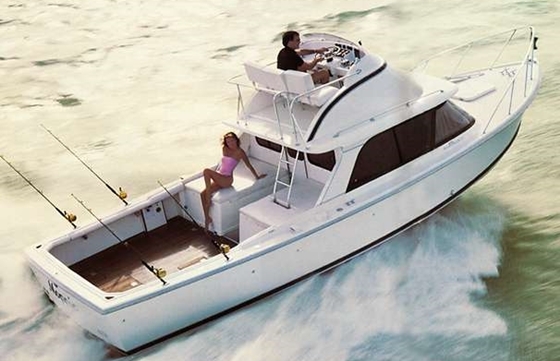 This is a great deal on a beautiful 40' Custom Convertible Sportfish. Owner's plans have changed. Stored in heated building every winter since 2007.
stereo system, as well as air conditioning and heat. Salon also has a wetbar / icemaker. Enclosed head is to starboard and seperate enclosed shower with sink is to port. All new plumbing includes anti scald system. Galley down features a Norcold fridge, stove, microwave, stainless double sink,a water filtration system, and dockside water. New package features a 10.5" Furuno Navnet system consisting of a GPS plotter, fishfinder, and radar. Also equipped with a Northstar 952, Robertson AP45 autopilot, Icom M62 VHF, Furuno T2000 SST guage. Engine guage cluster new. New Mathers electronic engine controls. 50 AMP shore power as well as Northern lights genset and ProSine inverter. 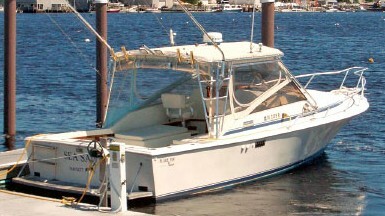 Large cockpit features a teak sole as well as covering boards, swim platform, a huge below deck livewell, cockpit controls,cockpit shower and sink, 10 rod holders, Schaffer outriggers, rocket launchers, lockable rod storage on the bridge, 6 man life raft, EPIRB, and windlass. Vessel has been complete refit by knowledgeable owner who's plans have changed. 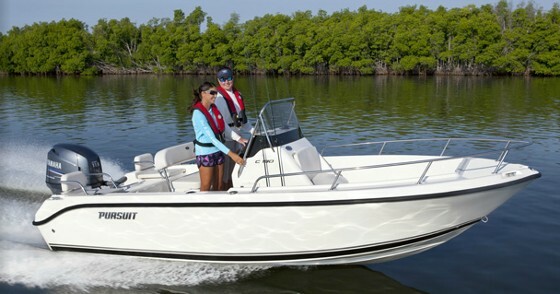 She is a first class vessel very well suited for family cruising or tournament level fishing. 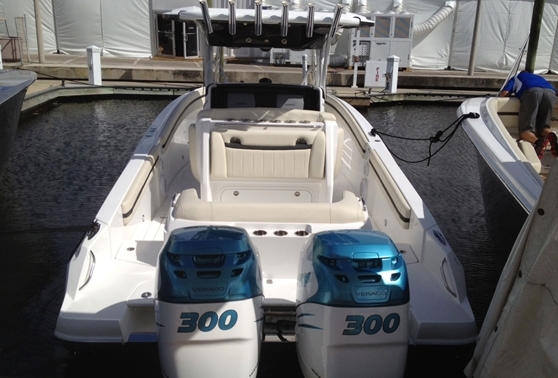 Shows like a much newer boat with too many upgrades to list. Please call for full deatils.